Bocas del Toro ([ˈbokaz ðel ˈtoɾo]; meaning "Mouths of the Bull") is a province of Panama. Its area is 4,643.9 square kilometers, comprising the mainland and nine main islands. The province consists of the Bocas del Toro Archipelago, Bahía Almirante (Almirante Bay), Chiriquí Lagoon, and adjacent mainland. The capital is the city of Bocas del Toro (or Bocas Town) on Isla Colón (Colón Island). Other major cities or towns include Almirante and Changuinola. The province has a population of 125,461 as of 2010. The province contains two national parks, Isla Bastimentos National Marine Park and La Amistad International Park. The Smithsonian Tropical Research Institute operates a research station on Colón Island just northwest of Bocas Town. There are many banana plantations in Bocas del Toro, often called the oro verde, or green gold of Central America. Christopher Columbus explored the area in 1502 while searching for the passage to the Pacific Ocean. Columbus's original name for the island was Isla del Drago. In colonial times, Bocas del Toro was part of Veraguas. It was originally part of Costa Rica until, in one of many territorial disputes, Colombia took control of it with armed forces. 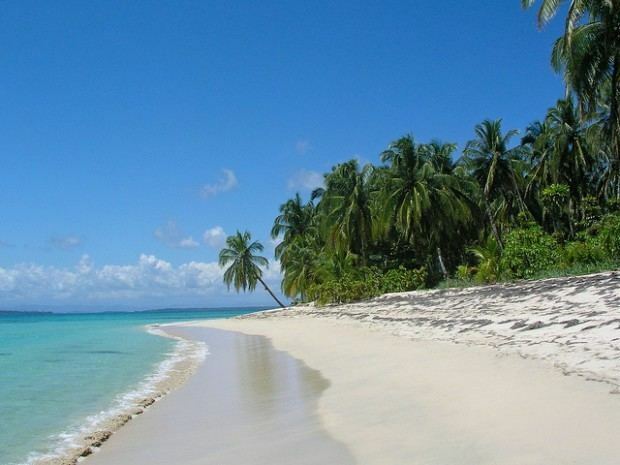 The then government made a reservation called Bocas del Toro in 1834. In 1850, Bocas del Toro became a part of Chiriqui, then was separated from it and became part of Colon. On November 16, 1903, Bocas del Toro was separated from Colon and became its own province. In 1941, Bocas del Toro was divided into two districts, Bocas del Toro and Crimamola. Four years later, it became part of the same division as before. In 1970, Bocas del Toro district became Changuinola, the district of Bastimentos was eliminated, and three new districts were added, making the province what it is today. The districts' areas changed in 1997 when the Ngöbe-Buglé Comarca was created. The province is the home of the unique Bocas del Toro Creole of English. The national parks in the province are Isla Bastimentos National Marine Park (Parque Nacional Marino Isla Bastimentos), which contains most of Isla Bastimentos and some smaller nearby islands and extends into the large nature preserve at the Red Frog Beach Island Resort, and La Amistad International Park (Parque Internacional La Amistad), which spans the Costa Rica–Panama border. 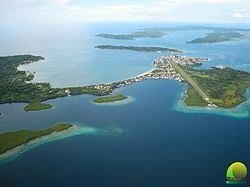 Bocas del Toro contains most of the Panamanian section of the park, which covers 400,000 hectares (4,000 km2; 1,544 sq mi). The Costa Rican section of the park covers 584,592 hectares (5,846 km2; 2,257 sq mi). La Amistad International Park is a designated UNESCO World Heritage site. Bocas del Toro Province is divided into 4 districts and 30 corregimientos. On 8 June 2015 the new Almirante District was created, after splitting out from Changuinola District. * The area of Almirante District is included in the figure quoted for Changuinola District, from which Almirante was divided.